Ice LED Lights For Motorcycles can be replacements for the stock Harley lights and can be installed on any chopper, bobber and most custom motorcycles. 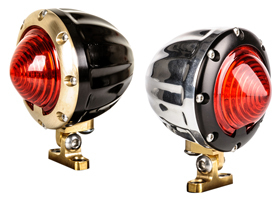 They are not bolt-on replacements and installation will require some custom fitting and modifications, but these LED lights for motorcycles will make your custom bike stand out, giving it a unique look. 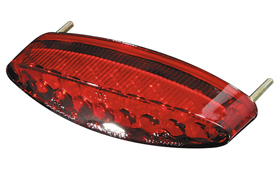 Ice custom tail lights feature clear LED bulbs, which turn red when you brake or turn on the tail light and feature two brightness levels for run and brake light. 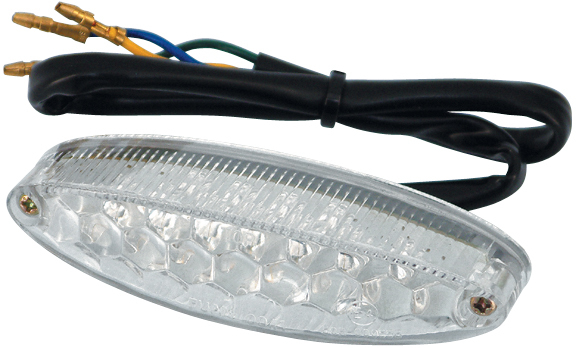 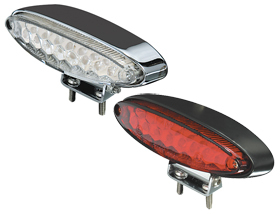 Ice LED Lights For Motorcycles are available with clear, red or smoked lenses. 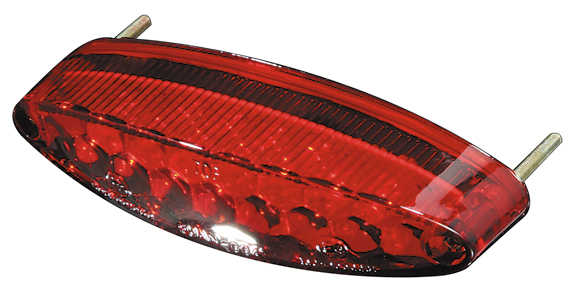 Tail light housing is made of ABS plastic. 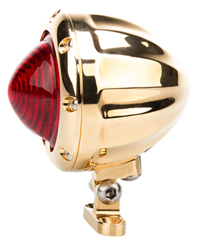 Dimensions: width 4”, height 1-1/16”, depth 2-1/4”.